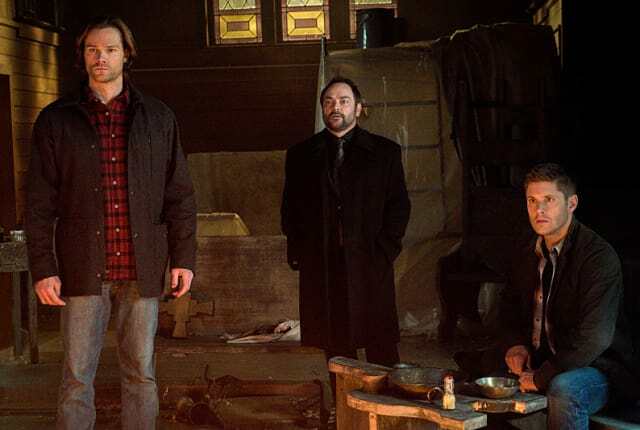 Watch Supernatural Season 11 Episode 18 online via TV Fanatic with over 7 options to watch the Supernatural S11E18 full episode. Affiliates with free and paid streaming include Amazon, iTunes, Vudu, Netflix, YouTube Purchase, Google Play, and Verizon On Demand. On Supernatural Season 11 Episode 18, Crowley tells Sam and Dean he plans to take down Amara while Lucifer tries to assert himself into heaven. This is exactly how we screw ourselves. We make the heart choice instead of the smart choice. Permalink: This is exactly how we screw ourselves. We make the heart choice instead of the smart choice. Apparently archangel plus God power doesn’t trump God’s sister. Permalink: Apparently archangel plus God power doesn’t trump God’s sister. Supernatural Round Table: Who is the Chosen One?